Local accounting firm KMH LLP has donated $50,000 to the University of Hawaii's Shidler College of Business to help fund a professorship in the college's accountancy school. "The majority of our professionals, as well as our leadership team, are School of Accountancy alumni," said Ross Murakami, managing partner of KMH. The funds will go toward establishing the Donald A. Corbin Distinguished Professorship in Accounting, named for a professor who taught at the school from 1961 to 1989. The school is seeking a total endowment of $750,000 for the professorship. 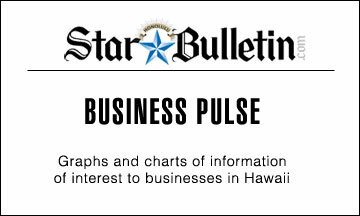 Bank of Hawaii Corp.'s rating outlook has been upgraded to "positive" from "stable" by Moody's Investors Service. Moody's said the change reflected its confidence that the bank can maintain its "superior profitability" over the long term relative to its peer group while upholding its current conservative credit profile. The agency now rates the bank's senior debt at A3, long-term deposits at A2 and bank financial strength at C+. » Hawaii Theatre Center has hired Hester Kamin as its first education director. She will be responsible for leadership of the Hawaii Young Actors' Ensemble, a youth theatre program in collaboration with Maryknoll High School, creation of a job skills appprenticeship program in technical theatre, and development of HTC's student matinee series in theatre and dance. Kamin previously served as drama education associate for the Honolulu Theatre for Youth and as dance choreographer for the Hawaii Shakespeare Festival. » Rider Hunt Levett & Bailey has named Erin Ginoza project administrator. Ginoza joined the firm following her graduation from Chaminade University this past May, where she earned a bachelor of arts in business administration. » Temple Emanu-El has appointed Rabbi Peter Schaktman, who was confirmed for a two-year contract by the temple's membership. Schaktman served as interim rabbi during the past year at the temple, and has previously served as a community worker in Arab-Jewish relations. » P.F. Chang's China Bistro has announced the following new hires for the company's new Hawaii location: Alan Hays, manager, will be responsible for day-to-day restaurant operations including staff supervision, scheduling, training and customer service. Hays previously served as manager for a P.F. Chang's Paradise restaurant in Las Vegas. Phillip Reina, sous chef, will monitor the kitchen staff, product quality and assist with food preparation and presentation. Reina previously served as executive chef and culinary partner for P.F. Chang's in Houston. » Outrigger Enterprises Group has hired longtime hotelier Dave Lawrence as senior vice president of operations. He will oversee Outrigger's operations throughout Australia, New Zealand, the South Pacific, Guam and Tahiti. He also will run Outrigger's condominium collection and assist in Outrigger's future expansion plans outside of Hawaii. Lawrence previously served as managing director for Outrigger Hotel & Resorts within Australia, New Zealand, Fiji and Bali. » Shriners Hospitals For Children Honolulu has hired Stephen Boyer as director of plant facilities. He will oversee the Honolulu hospital's building maintenance, grounds keeping and security. Boyer previously served as facilities manager of the East-West Center on the University of Hawaii-Manoa campus for nine years. 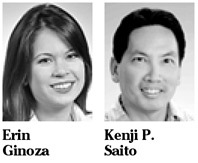 » Market America has promoted four distributors to area coordinator position: Angela Chang of Aiea, Leechi Liao of Honolulu, Hungchou Lin of Honolulu, Jun Li of Honolulu. Market America specializes in product brokerage and Internet marketing. » Atlantis Adventures has promoted Ken Kessler to general manager from cruise manager. He also served as acting general manager for the past two months. Kessler previously served as general manager of a popular Manhattan restaurant for 11 years. 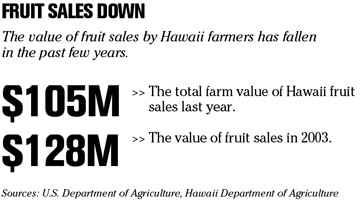 » Meadow Gold Dairies of Hawaii has promoted Kenji P. Saito from distribution supervisor to Maui Branch Manager. Saito will oversee the market development and promotions, customer service, and management of day-to-day operations at the company's Maui and Molokai branches. LOS ANGELES » Downloading Disney movies is quickly proving to be profitable for the Burbank-based entertainment powerhouse with more than $1 million in downloads during its first week of selling movies through Apple's iTunes.